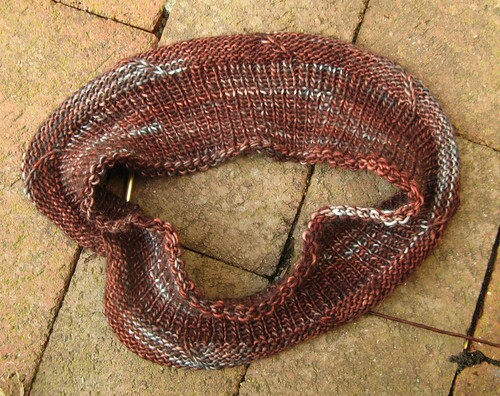 Alas, my Pebbled Beanie in William Morris Tosh Light just didn’t look right. I frogged back to the ribbing, because I still wanted a hat. I surfed Ravelry a bit, found something that inspired me, and I’m winging it from there. Here’s the first few rounds — basically I’m doing a simple travelling knit stitch on a reverse stockinette background. I plan to have the direction zig and zag “some” — should be cool. 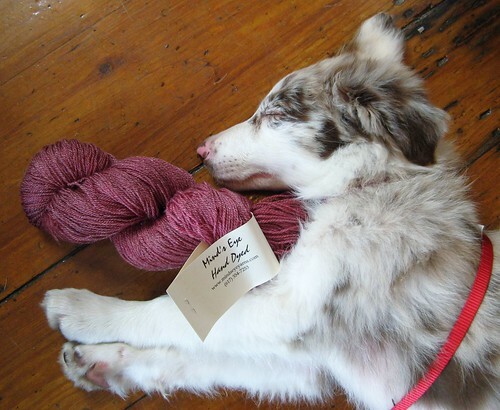 I still love the yarn. Today a friend came over to knit. We sat outside on the deck in the cool September sun and knit while our dogs rambled around the yard — in other words, nearly idyllic afternoon! I couldn’t resist the lure of casting on Something New. 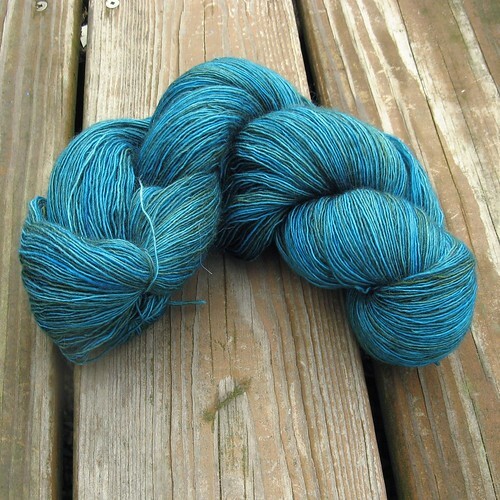 So, I wound my new lace Madelinetosh in Turquoise and started a Mariposa. I’m definitely feeling the cast-on-itis, too! Good luck with all of the WIP’s. Wonderful puppy!!! I love it.